Manjul Publishing House is an independent book publishing company established in 1999. We are based in Bhopal, in the state of Madhya Pradesh, in central India. Manjul has, over the years, single-handedly created a niche market for quality Indian language translations of internationally bestselling and popular titles in genres like self-help; mind-body-spirit, health and well-being, spirituality, inspiration, personal finance etc, among others and has emerged as the largest translations publisher in India, with very successful publishing programmes in major Indian languages like Hindi, Marathi, Tamil, Telugu and Gujarati. We also publish in Bengali, Kannada, Punjabi, Malayalam, Assamese, Oriya and others Indian languages. Manjul also publishes reprints of popular books in English, for India/Indian Subcontinent, in the self-help, health and well-being, spirituality categories. Our translations list has some of the world’s best known authors, including Stephen R. Covey (The 7 Habits of Highly Effective People – in Hindi, Marathi); Rhonda Byrne (The Secret; The Power; Magic and Hero – in Hindi, Marathi, Telugu Tamil, Bengali, Gujarati etc); JK Rowling (the blockbuster Harry Potter series – in Hindi and Marathi) Robert T. Kiyosaki (Rich Dad Poor Dad – in Hindi, Marathi and several other Indian languages), and Brian Tracy, John Maxwell, Spencer Johnson, Allan and Barbara Pease, David Schwartz, Brian Tracy and Zig Ziglar, amongst many more. Amaryllis, our English only imprint founded in 2010, publishes original, India-centric fiction and narrative non-fiction. Amaryllis has more than 60 successful titles already under its belt and boasts of names like Ashok K. Banker, Deepti Naval, Jaswant Singh, M.K. Rasgotra, Rajiv Malhotra, Sudheendra Kulkarni, Ian Talbot, Kiran Khalap, etc on its list. Amaryllis has evolved into a name to reckon with in English publishing in India. Our international publishing associates, from whom we acquire Indian language rights are renowned publishers like Penguin Random House (USA, UK and India); Simon and Schuster; Berrett-Koehler Publishers; Hachette Book Group; Thomas Nelson Publishers et al, to name just a few, and the largest literary agencies the world-over. Today, Manjul and Amaryllis together have a backlist of over 700 titles. Manjul also has a full-fledged book-distribution division based in New Delhi, which services bookshop/bookseller accounts spread across the length and breadth of India. Twenty regional sales representatives effectively cover all bookstores, booksellers, institutes, colleges, libraries and other potential bookselling outlets. We also distribute our books through other prominent book-distribution companies in India – India Book House, India Book Distributors, UBSPD, Prism Books and Prakash Books. 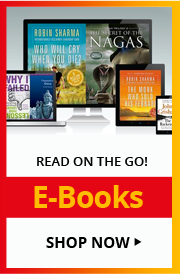 Online, our books are available for purchase on all prominent bookselling portals like Amazon India, Flipkart, Snapdeal, Infibeam etc to name just a few, apart from our own website. Our e-Book programme has been initiated and is set to grow exponentially this year. Our books are available at all prominent chain book-stores, including Crossword etc, and also at airport bookstores and stand-alone stores across India. Our presence, thus, stretches to over 10,000 bookstores/booksellers, reaching virtually every nook and corner of the country.